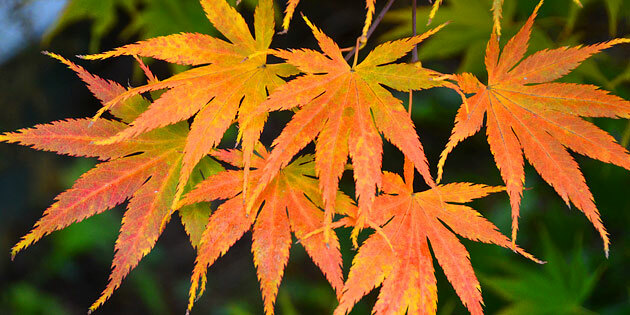 Home » News » Why Do Leaves Change Colour? In the summer chlorophyll gives leaves their green colour and is so dominant it hides the other colours in the leaves. But in the fall, chlorophyll in the leaves breaks down allowing the other colours to finally shine through and show their beautiful reds, yellows, and oranges. So with fall at our doorstep we look toward putting our gardens to rest for the winter months but before the dormant season is in full swing we have a new array of colours to admire amongst the plant material. 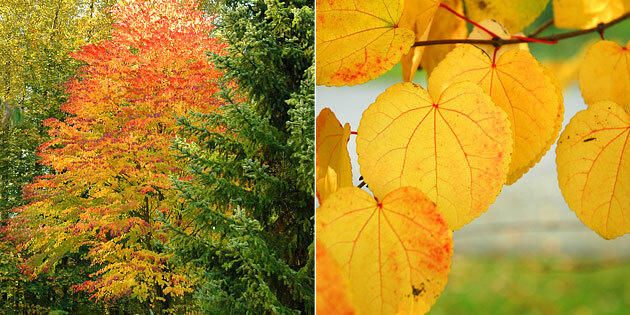 The following are trees with great fall colour.